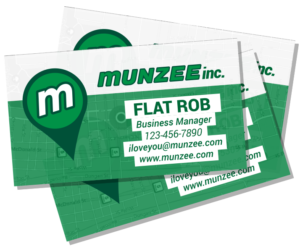 Yesterday, we said there were more updates coming to the Munzee Referral Program, and we’ve got another one for you today: Munzee Referral Cards. 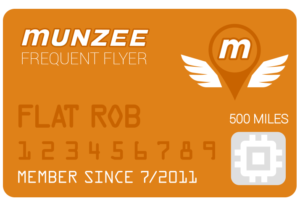 Add the Custom Referral Card to your cart and check out. 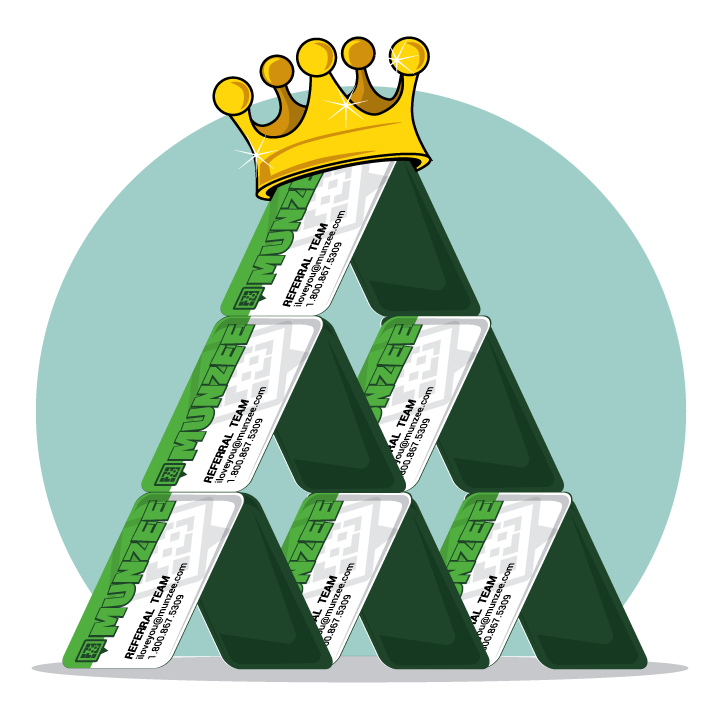 After purchase, you will receive three emails: Check out confirmation, shipping confirmation, and a final email that includes a Referral Card with your referral code on it. 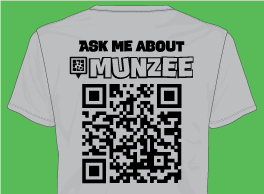 Note: The final email will be sent to the email address associated with your Munzee account. This may not necessarily be the email you use to check out in the store, so be sure to check that one. 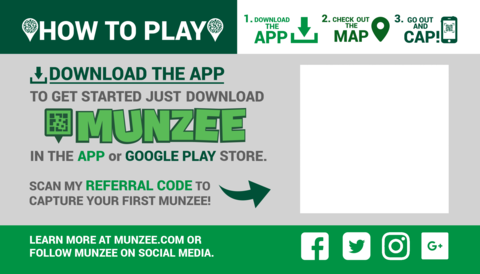 Print out the Custom Referral Card, and start introducing people! 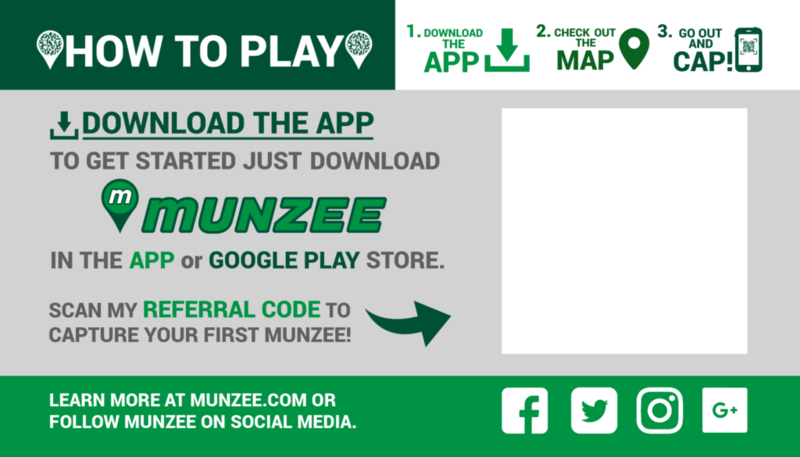 We’ve been working behind the scenes to improve and expand the Munzee Referral Program, and we’re happy to introduce one of the new features: leaderboards! 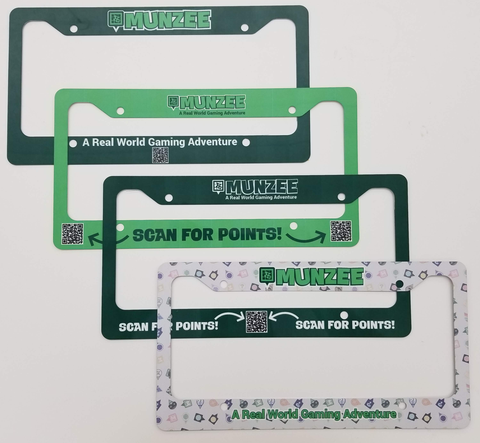 There are four new leaderboards that relate to referrals: Monthly Referral Points, Overall Referral Points, Monthly Referrals, and Overall Referrals. 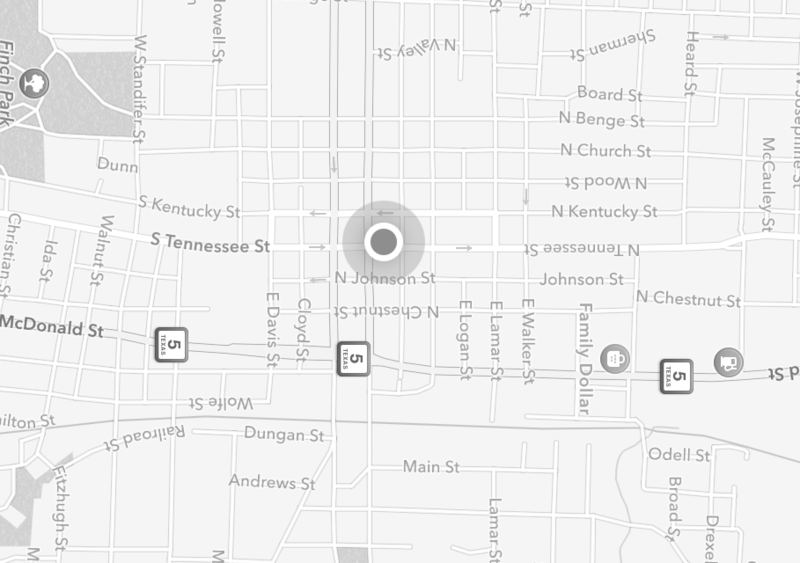 These can be found under the “Leaderboards” tab on the navigation bar of the website. 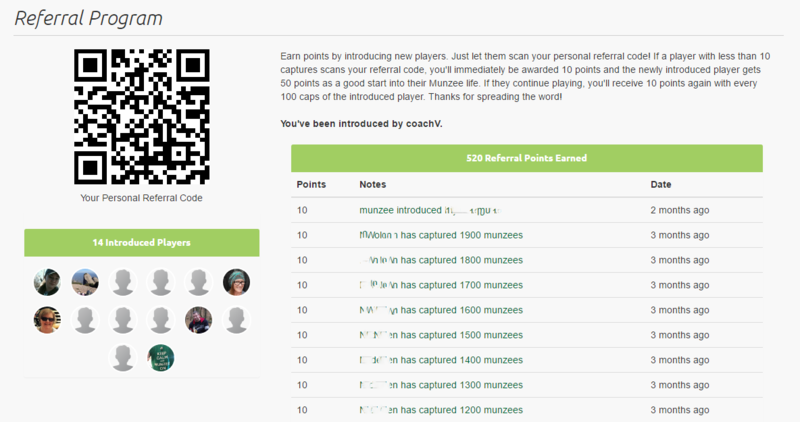 You can also use these direct links — Referral Points and Referrals. 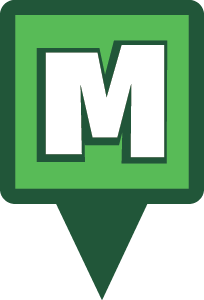 We are still working on other new features and aspects of the Referral Program, so keep an eye out for more announcements!